Elegant Key Pendants. 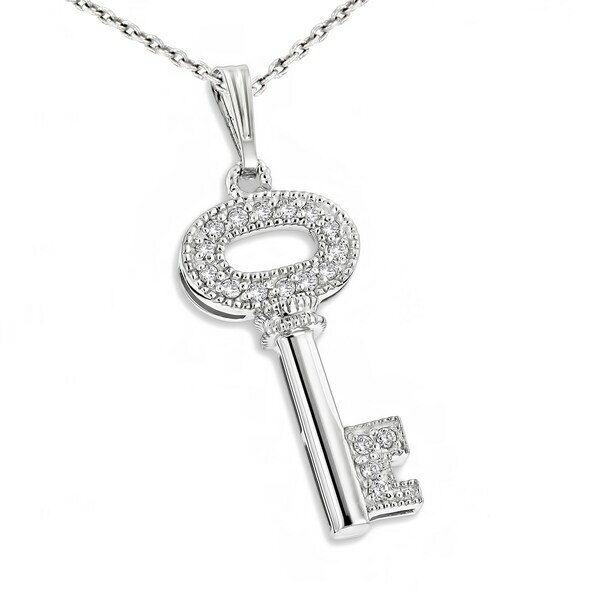 This Small 14K Gold Diamond Key Pendant showcases 0.33 ctw of sparkling round diamonds set in a luscious 14K gold frame. Featuring an intricate design and a highly polished gold finish, this fabulous ladies diamond key necklace makes a great present for any occasion. All weights and measurements are approximate and may vary slightly from the listed information. *T.W. (total weight) is approximate. 1/3 carat T.W. may be 0.28 to 0.36 carat. Treatment code N. See Treatment Guide for further information.